This is database of police which West Denver Copwatch has had interactions with. Please post both positive and negative comments about the officers if you or anyone you know have had interactions or encounters with them. All information on this site is public information. 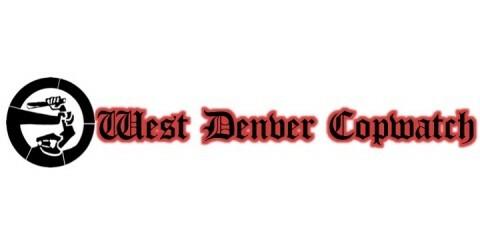 We need help, this database is only a start and is limited to the interactions we have had, if you have photos and cards of police email the information to westdenvercopwatch@riseup.net and we will post it up. The streets are watching! Officer Russell F. Dymond Jr.
1200+ Denver Police officers and this is all you can come up with. I like what cop watch stands for but by the looks of it, DPD is doing a pretty good job. How about the murder of Marvin Booker. One of the deputies encouraged the take down team to “probe his ******” with the tazer. THATS TORTURE! Cops are useless and expensive at best and murderous bastards at worst! You have no idea what you are talking about. the Denver Sheriffs Department is at the center of the Booker controversy not the police Department. When you speak without knowing the facts you sound less credible. Why attack the police when they weren’t even involved? believe me brother, it would be possible to come up with much, much more. The cops protect each other, they lie on their statements and even if you PROVE they made false statements, NOTHING HAPPENS TO THEM! most people give up on the complaint system, which is in my opinion, deliberately laborious and time consuming. you know it. its sad to think there on our side. there idea of justice is to make that last pull over and get that money.